How many of us have had a severely itchy scalp and it seemed like nothing could soothe it? I'll raise both of my hands for this, and from personal experience, this isn't fun. When I was relaxed, my scalp was always itchy. From dandruff to follicultis, the caustic nature of a relaxer really tore my scalp apart. I remember scratching so much that I would break skin. Ugh! Thank goodness those days are over. Itchy Scalp - If you have an itchy scalp with no other symptoms, try aloe vera juice or gel. Just like applying it to the skin to soothe irritation, aloe can also work on the scalp. It's healing properties moisturizes the scalp and prevents itching, and it can also help reduce excessive shedding. Dandruff - Dandruff has a few causes, including not washing enough, allergic reaction to a product, and fungus. If you have dandruff, wash the scalp with a mild shampoo once a week, and instead of oiling the scalp, apply an apple cider vinegar rinse. Apple cider vinegar has anti-bacterial and anti-fungal properties; it will help clear up dandruff, as well as balance the ph of the scalp. Mix 1 tablespoon of apple cider vinegar in 1/4 cup of water and apply to scalp after washing. Don't worry about the smell, it will dissipate when it dries. Reducing Shedding - If you have excessive shedding, have some tea! Studies show that the caffeine from tea helps to regrow hair and prevent shedding. Seep black tea, which has the most caffeine, in hot water and let cool. Apply to the scalp and hair. You can also use coffee, which has the added bonus of boosting darker hair colors. Dry Scalp - Dry scalp is never fun, but if it's something you suffer from, consider using glycerin. Glycerin is a humectant, which attracts water to the scalp helping to keep it moisturized. Mix glycerin with water (1 part glycerin to 4 parts water) and apply it to the scalp. If you don't have glycerin readily available, you can substitute honey. One thing to remember, while these at home remedies can help alleviate scalp issues (aloe vera juice has been great for me), don't be afraid to go to the doctor. 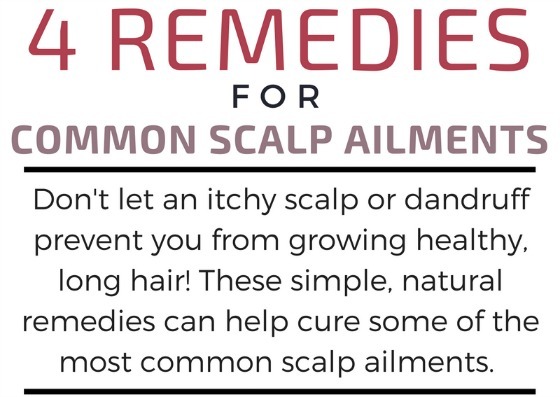 If your scalp is really itchy, severely flaking, or you are suffering from any other scalp ailment, you may have a more serious condition that needs medical intervention. 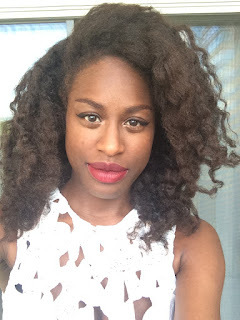 Dear FroBunni: Is Cowashing Bad for Natural Hair?